Photo: PATH/Trevor Snapp. 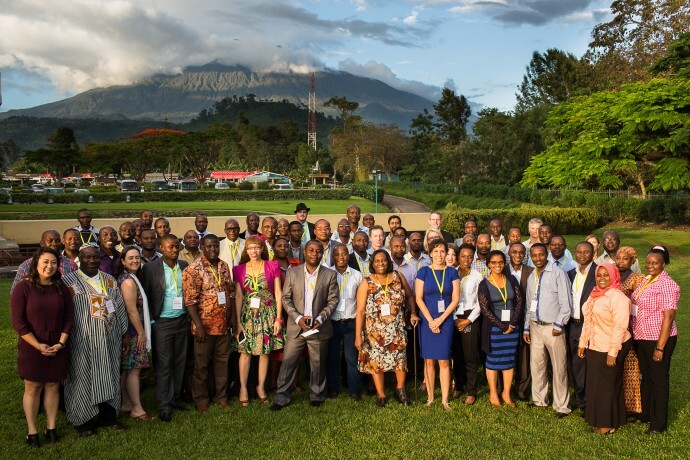 Participants at the December 2015 BLN Discussion Meeting in Arusha, Tanzania. International development is a collaborative effort, and the BLN Discussion Meeting showed collaboration at work. 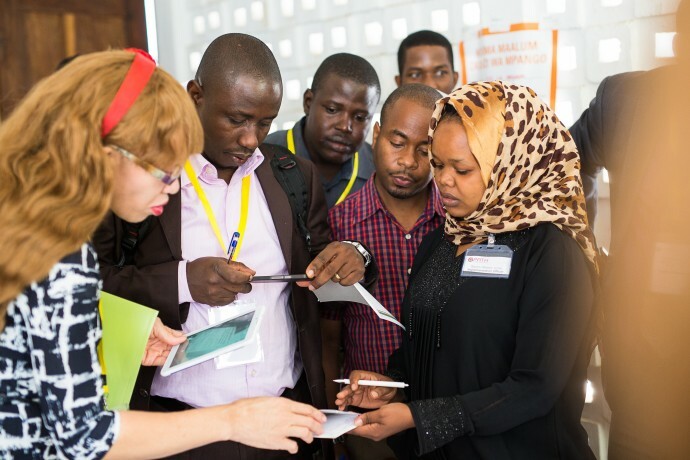 Held in Arusha, Tanzania from December 7 to 11, the BLN Meeting was a chance for over 60 representatives from 17 countries and various partner organizations to discuss the challenges and successes of developing and implementing eHealth strategies and data use interventions. To understand how the BID Initiative is working in Tanzania, BLN participants visited five of the 54 facilities in Arusha City District where BID has rolled out. The participants enjoyed this session, finding it a tremendous opportunity to learn what interventions are in place to help improve immunization data collection, quality and use. “Our [field visit] group discovered that staff have embraced the [electronic immunization] system. The system automatically checks all vaccines given to the child. The system is open source, and can be improved on to include other services.” – Dr Edward Mukooyo, Uganda Ministry of Health, who visited Kaloleni Health Centre. Photo: PATH/Trevor Snapp. BLN members gather around nurses at the Kaloleni health facility to see how the electronic immunization registry works in the field. In close partnership with the Ministry of Health and Social Welfare, Tanzania designed and rolled out various interventions including the electronic immunization registry and a WhatsApp group to enable health workers to connect with one another and collectively address challenges. At the BLN, the team shared these experiences to hear from colleagues who may be facing similar challenges, but also to learn from those who might have effective solutions to improve BID’s rollout. Sharing best practices and approaches is a cornerstone of the BLN, and participants discussed issues such as how to capture unique identifiers for children, how to map and communicate with the pastoral populations, how to help health workers understand, value and use the power of data, and how to handle back-entry of data to maintain patient records when a new system is implemented. Photo: PATH/Trevor Snapp. 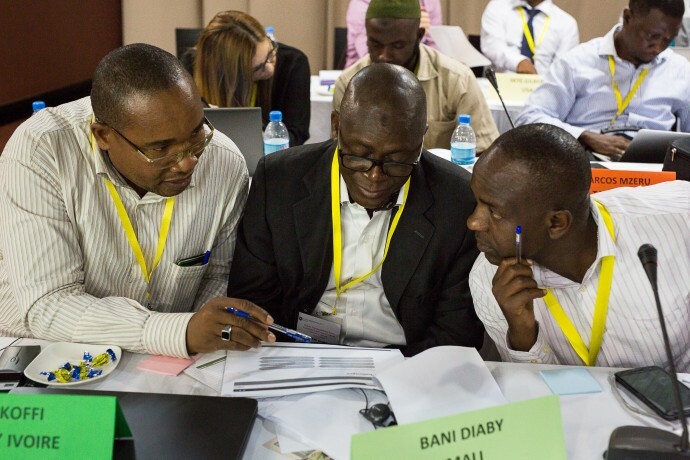 Participants review wireframes to help design and provide input around how BID interventions will be packaged for other countries to adopt and use. The BLN also provided a platform for participants to discuss global financing trends, engage with funders, such as the Bill & Melinda Gates Foundation and USAID, as well as coordinating partners such as WHO. This was a critical engagement to help countries align their funding needs and understand partner focus areas, while partners also heard national government priorities. “For the WHO, the core mandate is data and to be the custodian of global health data, especially immunization data. Focus on data quality is relatively new. Countries should put mechanisms in place for constant data review, and the donor encourages countries to review the data at all levels.” Jan Grevendok, WHO. This was the second meeting of its kind, but with each BLN Design and Discussion Meeting, BID aims to make the BLN platform more useful to participants. BLN Director, Dr. Chilunga Puta, took time to hear views from country participants on better ways to incorporate and share information, other formats or platforms to use and other areas of expertise within the group. The hope is after this meeting, the BLN will continue to pool expertise that will help strengthen eHealth strategies and further improve immunization data in all participant countries as the BID Initiative continues rolling out in Tanzania and Zambia. Read the BLN Discussion Meeting Report and view the presentations from the meeting.